Security Consultants advise companies on means of protection their physical assets, intellectual property, data and personnel against all forms or risks. Security consultants have the latest understanding of issues affecting companies or organisations and have the technical know how to design and implement security strategies to ensure the safety of the assets. Consultants can advise companies on appropriate methods and controls that are cost effective for their business and can look at programmes of improvement to bring up a companies technology to defend against the latest threats. They also have knowledge and experience of bringing companies up to quality industry standards such as ISO 27000 for information security management systems. These companies can provide online training in security risks to help businesses achieve their goals. Entrants into the industry may have degrees risk and security management, or degrees/masters in cyber security or have developed experience in the industry over a number of years. 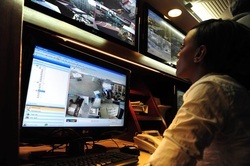 Jobs are found within security operations centres in corporations, governments and with security consulting agencies.